Repreve will turn the Aug. 8 Lions preseason scrimmage green with Matthew Stafford and other Lions quarterbacks wearing REPREVE green jerseys made from recycled plastic bottles. Coming off of a successful first year partnership, the Detroit Lions announce a second consecutive year with Unifi, Inc.’s (NYSE:UFI) REPREVE® as the team’s official sustainability partner. REPREVE transforms recycled plastic bottles into fibers used to make fabric found in some of America’s favorite brands, including Ford, Haggar, Polartec, Quiksilver and Volcom. 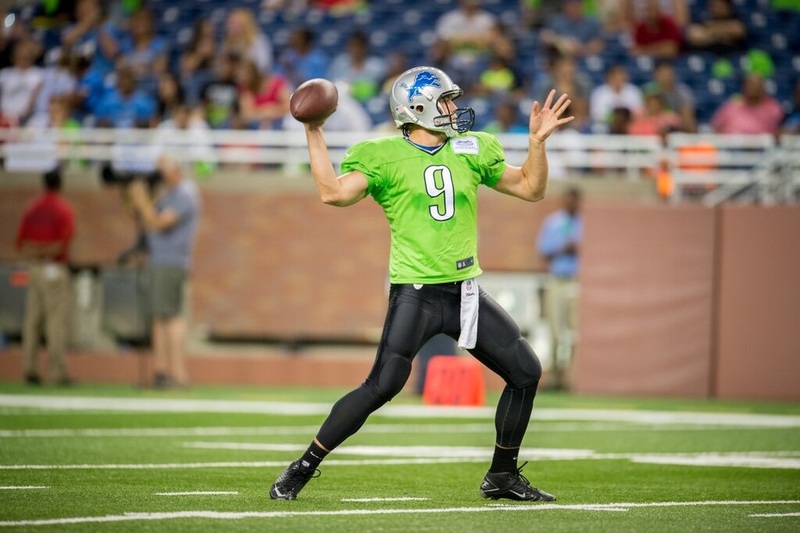 Kicking off the 2015 season, REPREVE will turn the Aug. 8, 2015 Lions preseason scrimmage green with Matthew Stafford and other Lions quarterbacks wearing REPREVE green jerseys made from recycled plastic bottles. REPREVE will be onsite to give attending fans the chance to win REPREVE-based prizes and tickets to the Oct. 25, 2015 REPREVE sponsored game. During the Oct. 25 game against the Minnesota Vikings, REPREVE will host a “Make the Smart Throw” challenge during halftime where one lucky fan will get the chance to win up to $50,000 for completing a series of difficult throws on the field. To further educate consumers on the cool products that can be made from recycled bottles, REPREVE will launch a national recycling tour later this year. The tour will make stops across the United States, including Ford Field, giving consumers a chance to recycle their plastic bottles in exchange for REPREVE-based products. FYI: Unifi originally launched the Repreve website back in 2008. It is nice to see how the initiative has grown over the years. If you are interested, you can read the 2008 news article about the Repreve eco-focused website.